The potential for subtle bias towards cancer survivors is highlighted in a recently published study by a Rice University research team. The group found that the knowledge that someone is a cancer survivor can have a tangible impact on their employment opportunities and hiring prospects, even though no discrimination laws are violated. The team used five undercover participants—three women and two men—who applied for retail positions within 121 stores at three large shopping centers in the southern U.S. 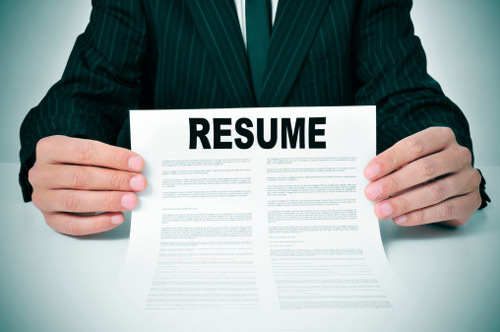 The resumes used were standardized and tailored to reflect the applicant’s actual experience while controlling for job requirements and anything that would make them appear overqualified. All locations were confirmed to be hiring before the participants began applying. Participants assigned to the cancer survivor group indicated their history with the disease in their resumes. They also wore hats that read “cancer survivor” while applying. Their resumes and applications were identical to the control group in other respects. Of the cancer survivor group, only 21% received callbacks from the managers of the stores to which they applied. The control group had a 37% callback rate. Additionally, the cancer survivor group reported more elements of interpersonal discrimination. This includes less eye contact, shorter interactions, less smiling, and more furrowing of the brow. It is unclear if the researchers followed up on the managers or sought their views. An additional part of the study was an online survey given to 87 individuals who were identified as having management and interviewer experience. They were asked to provide opinions on cancer survivors in the workplace. In general, cancer survivors were highly regarded. Such individuals were rated high in the “warmth” category—though not as much in the “competence” category—and were anecdotally reported as being seen as champions who overcame a significant trauma. The Rice University team believes their findings show that health characteristics have not been as strong a focus in many diversity programs. Employers need to be more mindful of how they can prevent an applicant’s health history from affecting their hiring judgment. Similarly, the team proposed offering advice on minimizing negativity to job hunters with health histories that they fear may be problematic. The study focused exclusively on retail job applications among cancer survivors. It is unknown whether the same results would extend to other disease histories, what management may or may not consider when faced with such an applicant, or whether the discriminatory observations would remain consistent in other areas of the country. Ruth, D., “Cancer survivors less likely to receive callbacks from potential employers,” Rice University News & Media web site, November 6, 2015; http://news.rice.edu/2015/11/06/cancer-survivors-less-likely-to-receive-callbacks-from-potential-employers/.